Real-time collaboration is now on the Mac. Apple’s iWork productivity software received a huge update today alongside the launch of macOS Sierra. Pages, Keynote and Numbers all got upgraded with the new real-time collaboration Apple gave us a glimpse of at this year’s Worldwide Developers Conference. The new feature is still in beta, but it makes the apps more powerful than ever in the workplace by allowing teams to edit documents simultaneously. Apple added real-time collaboration to its iOS iWork apps last week. 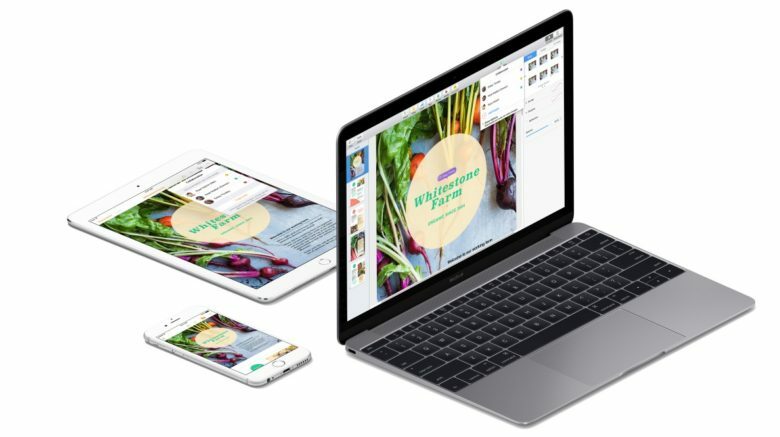 Now that the support is available on Mac, users can also use an iPhone, iPad or iCloud.com to edit live spreadsheets, presentations, text documents and more. Files can be shared either publicly or with just a few people. You can see who else is in the document. Participants’ cursors are highlighted so you can tell who is editing in real-time. The new iWork updates also add support for macOS Sierra’s new tabs feature that allows you to run pretty much any app in tabs the same way you would your internet browser. Apple also added a Keynote Live feature that lets you broadcast your slideshow so anyone on an Apple device or iCloud.com can follow along. The new features are available to all users today as a free update via the Mac App Store.